This past weekend the University of Cincinnati won the overall Girls AAC Conference Championship in Track & Field. It marks their second title in program history, including back to back for them. 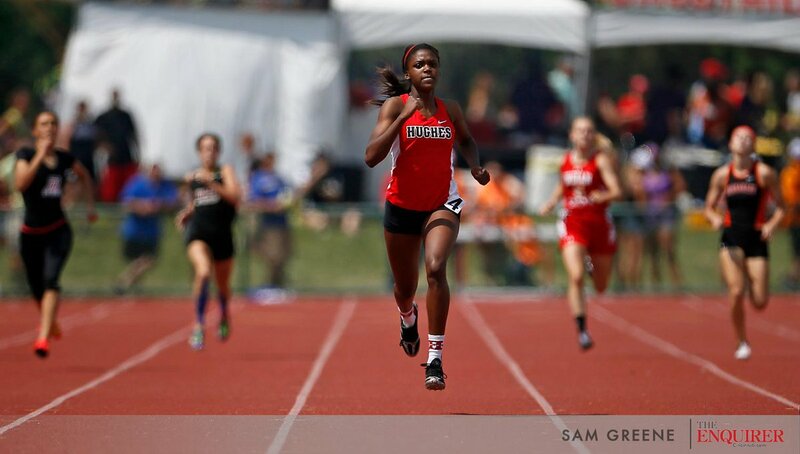 Former Hughes graduate and track star Tiona Lattimore (FR) led the way. According to her sprint coach Chris Wineberg - "She was the only Bearcat male or female to place in 4 events. She was also the only girl in the conference to pull off the 400/200 double and make the final in both. On top of it we won both relays. She is only the 2nd girl in program history to pull off this quadruple!" The CMAC wants to extend a huge thank you to everyone involved in Tiona's life and career. She is carrying the Hughes/CPS torch with grace and joy!